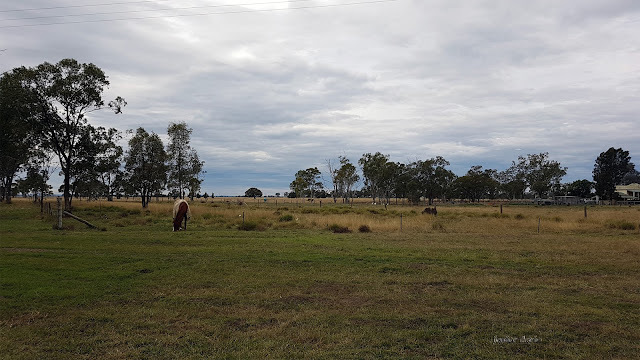 thoughts & happenings: Millmerrin, Queensland. Another small town we have never been to. The Caravan Park was excellent with a view of a Lake. 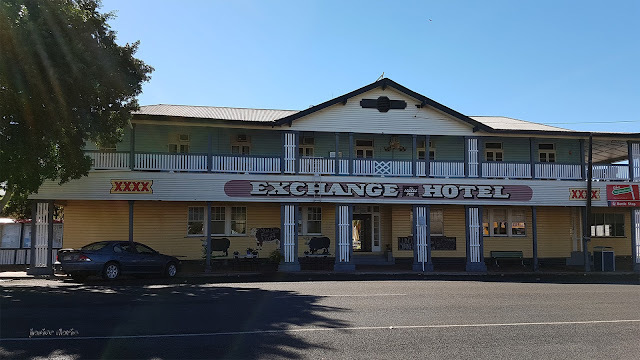 Millmerran is a town in the Darling Downs region of Queensland. The town has a population of 1,570 people. 208 klms West of Brisbane. 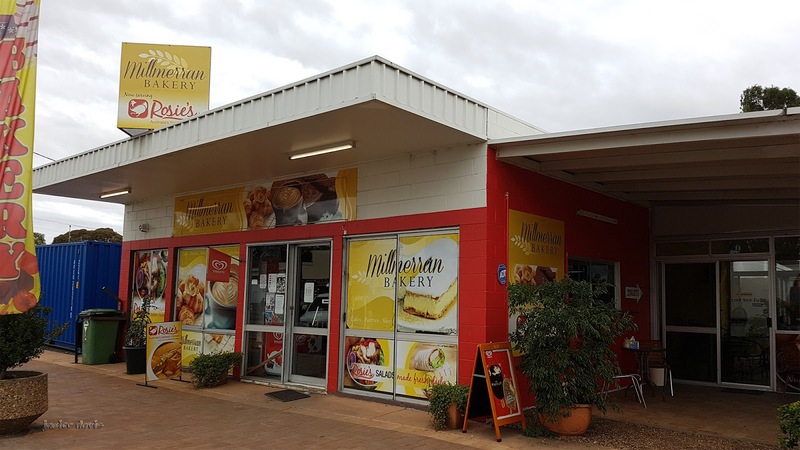 Millmerran is near a lookout commonly used by the local Aboriginal population prior to European settlement and the town's name is believed to be derived from two words - "meel" meaning 'eye' and 'merran' meaning 'to look out'. European settlement in the Millmerran area began in 1841 when the Gore brothers established the vast Yandilla Station. Yandilla station covered and estimated 1,780 square kilometers (890 sq mile) and hosted it's own school with 20 to 30 students, telegraph station and store. Closer settlement began after the passing of the Crown Lands Alienation Act in 1876, which allowed Edward Walpole to select a portion of Yandilla station. In 1881, Walpole established a general store on the site of what was known at the time as Back Creek, and a receiving office was opened with that name on July 8, 1883. It was elevated to the status of a post office, and the name changed to Domville, on June 1, 1889. The name was again changed to Millmerran on November 16, 1894. 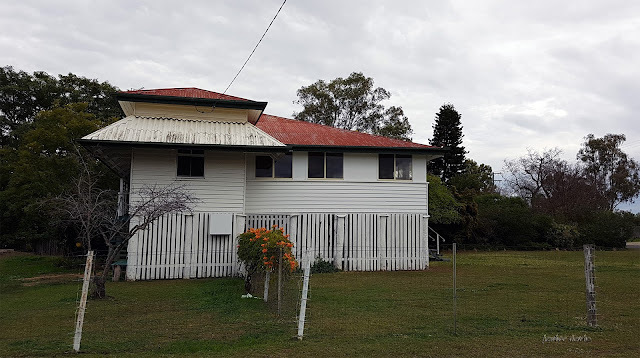 An older style home - a Queenslander. When away on holiday we often eat vanilla slices we had some here and they were beautiful. 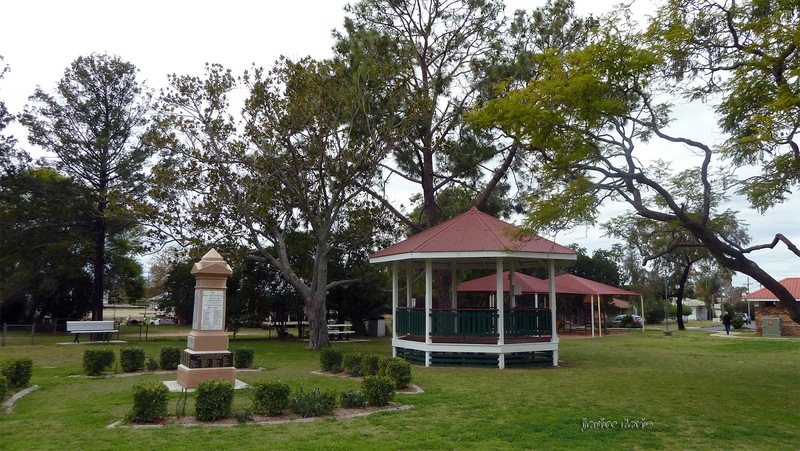 The lovely well kept park in Millmerrin. Below a scene adjacent to the town. Another beautiful and peaceful place to visit. Such a lovely trip indeed, and nice photos! A town I had never heard of. Thank you. Love the Queenslander too. A practical house design. Once found why the Queenslander was built up on stilts and it isn't what I thought it for, but have never found the article since. Imperial, Queens, Royal and so on are familiar names of Hotel's along with Exchange. And rather a loto of Railway Hotels as well. I haven't seen an unrenovated Queenslander for years. The tank mural is impressive. The bakery looks like an old service station. Would say the bakery was an old service station. Many people have renovated or are doing so to their Queenslanders. Apetece conocer lugares nuevos, conocer su gastronomía y disfrutar de sus buenos edificios. Often call into a bakery or a place to eat to see what's offering in that area. I haven't eaten a vanilla slice for years and years, but from the poster at the Bakery they do look rather tempting. Another beautiful serene little town to relax..
Don't know if all of Austrillia have a lot murel, nut what I see there so artsy. Some towns have mural and others don't. The one above tells a story. A lovely little town with a beaut bakery by the looks. Bakery was alright, it seems they bought some food in and some they made themselves - gone are the days when bakeries made all their own on the premises. This is quite the trip you are on. The mural on the water tank is what caught my eye. Was a good trip in our winter Andy. Nice images. So nice to see all these places. Very different Australia than seeing the Opera House in Sydney and other such pictures of cities and well known places. Queenslanders are great to live in lovely and cool not a fan of all the stairs. I like the mural often see them in country towns now. Lots of stairs in Queenslanders, long way to carry the groceries and loads of washing Merle. The places you visited look very comfortable. Happy Sunday. There are so many interesting small towns in Australia and you are experiencing many of them. Continue to enjoy your travels. Thanks David, we are home came home in October. Thoroughly enjoying catching up on your trip I am! Lovely photo's, especially the one of the mural. Beautifully done that art work. thank you for sharing interesting history Margaret! when i read such facts my native village struck into my mind which was founded by one of my great grand father and now is quite a town today ,how interestingly times fly by and life goes on while spreading it's wings wider and wider . I'm pleased you found the post interesting. Towns usually grow then once in a while for whatever reason the population can dwindle.